What is SRT? 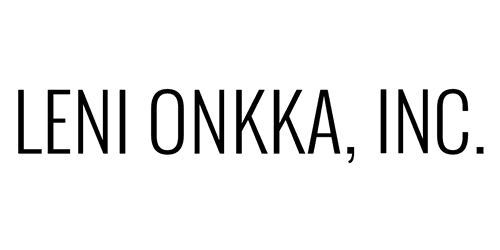 - Leni Onkka, LLC. Spiritual Response Technique, formerly known as Spiritual Response Therapy, is a Spiritual energetic technique that operates at a soul level. By using kinesiology, together we connect with your inner guidance to release negative from your Akashic records. Clearing the records releases the old limitations and replaces them with positive, balanced energies. As if removing a large rock from the middle of a stream, your life will be open to a positive flow. This is a powerful tool that releases limiting beliefs, perceptions, judgments and emotions that have been keeping you stuck. Why would you block yourself from something you desire? There are past life situations that show up in this life that are exposing old drama's and memories. The energy is still imbalanced. From Past Life experiences, you develop a set of rules and beliefs ultimately designed to protect and keep yourself safe...even though these rules no longer support you in this life, they still have control. These rules can keep you from moving forward into financial abundance, a relationship, success, financial abundance or getting that job you really wanted. Past life emotions that are trapped in your energy bodies are often dormant until someone from that past life triggers the program. Once triggered the programming rules your energy. I begin by first connecting with my clear inner guidance then, to yours, through prayer. During our time together, with your permission, our consciousness works together as a team to transform and balance your energy field. By using kinesiology and listening to your "story" that contains vital clues, we locate the keys to unlock and release trapped energies. The blocks are detected, removed and replaced with positive attraction patterns or vibrations that attune your field. Blocks can be detected, removed and replaced very quickly. Past life programming is unlimited in scope. It is your energetic influence that you bring into this lifetime. The way it affects every aspect of your life will amaze you. During a session, we will look at details of your past lives that may be affecting your day-to-day existence. Did you know whatever is causing drama may be from a past life? This situation is simply in your life to clear trapped energy in your Akashic Records. It’s very common for the energies from that past life to align with exactly whatever you’re experiencing in your life today. By releasing, miraculous transformation is available. With this work I have seen many miraculous and unexplained shifts occur. I have seen people that didn’t get along become very good friends. I have watched marriages be brought into balance, divorces that were stuck and in a huge battle-suddenly become willing to work out the details. I have worked with many types of issues and challenges.